Sometimes the plugins get out of date or have an older version than the libraries that are installed on the system. The symptom is that you see error messages on many lines where the WPILib code is referenced. This might be due to an old copy of WPILib installed in Netbeans. Click the "Tools" then "Plugins" in the menu bar. In the dialog box that pops up, click on "Updates" then "Check for Updates". 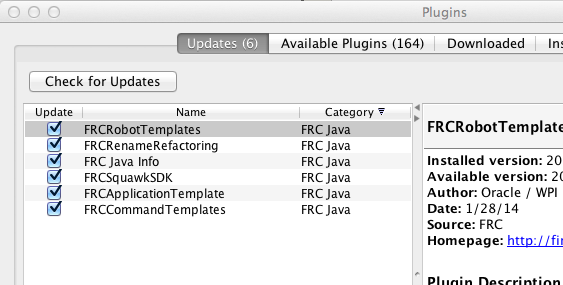 Install any updates for the FRC Plugins and allow Netbeans to restart. When it restarts the errors should be gone. If there errors persist, try uninstalling and reinstalling the plugins as described in the "Getting started with Java" documentation under the "Uninstalling the previous version of the plugins" section here: http://wpilib.screenstepslive.com/s/3120/m/7885/l/79405-installing-the-java-development-tools.